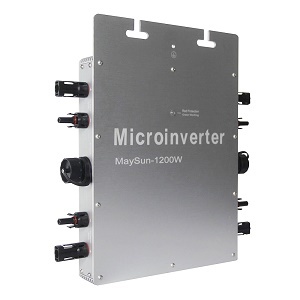 The micro inverter is generally referred to as the inverter with a power of less than 1500 watts in the photovoltaic power generation system. The full name is the miniature photovoltaic grid-connected inverter. "Micro" is compared to traditional centralized inverter. Traditional way of photovoltaic inverter is to all of the pv cells in parallel of sunlight to generate direct current (dc) all together, and then through a inverter dc to ac inverters connected to the electricity grid; The micro inverter inverts each component. Its advantage is can undertake independent MPPT control for each component, can significantly improve the overall efficiency, but also can avoid the centralized inverter some dc high voltage apparatus, poor effect of weak light, barrel effect, etc. MPPT(maximum power point tracking)，effectively track and lock maximum power output of solar panels. 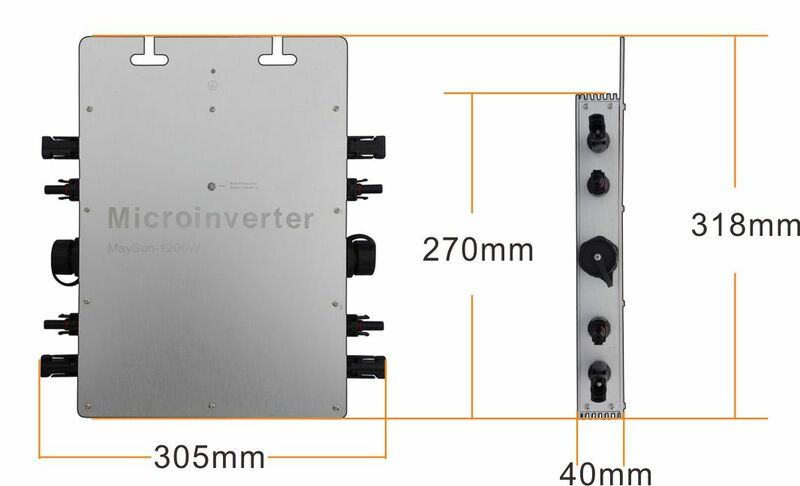 When the inverter track the maximum power point of the solar panel, it will automatically locked and with stable output. standard MC4 input port，easy and safe installation. anti-islanding protection function：inverter will automatically stop output when the utility grid off or fault. Over-temperature protection, short current protection and over-load protection.